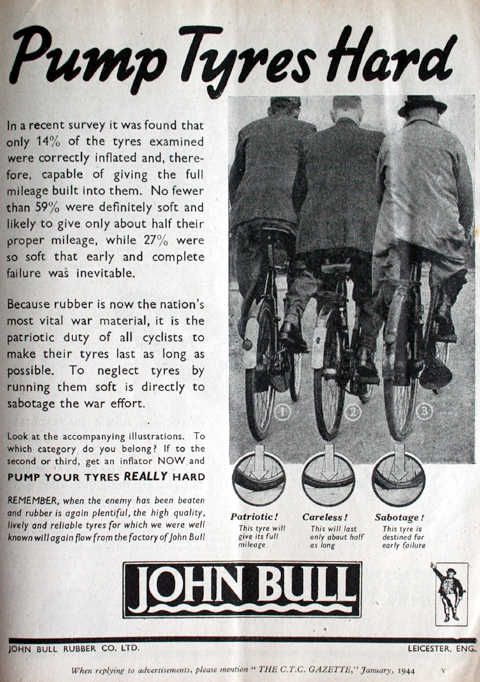 During the war many tricycles were requisitioned to use as training vehicles for servicemen. This one was used by the RAF. I’m not sure of its history in the RAF. 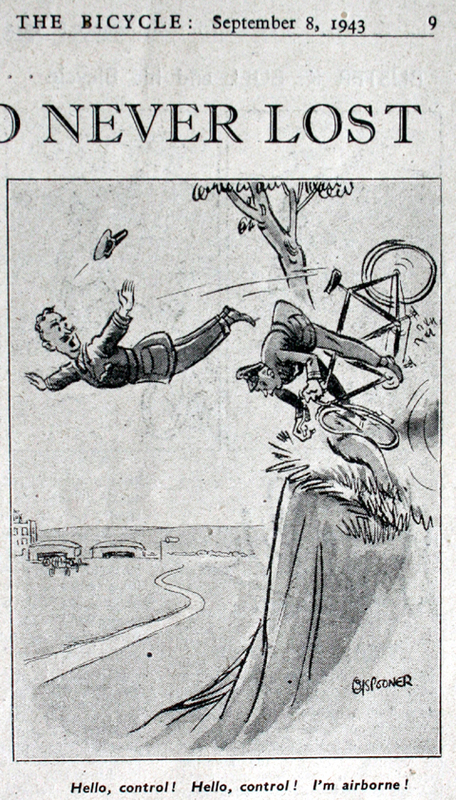 But I know of others set up with dummy aircraft controls on the handlebars so novice pilots could get used to traveling around at speed while looking at their controls at the same time. It does go to show how desperate we were at that time to train our pilots, without the resources we now associate with the RAF. I do hope our present-day servicemen in Iraq and Afghanistan have more up-to-date equipment than tricycles to learn to fly! 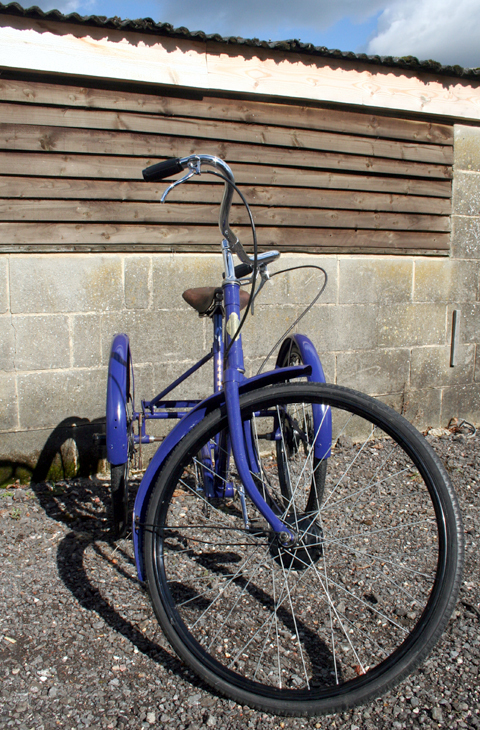 I bought this Harding from fellow VCC member Colin M, who totally restored it in 2007. It had been in quite a sorry state, and when he scraped off the paint he found the old RAF colour. He repainted it in RAF blue. 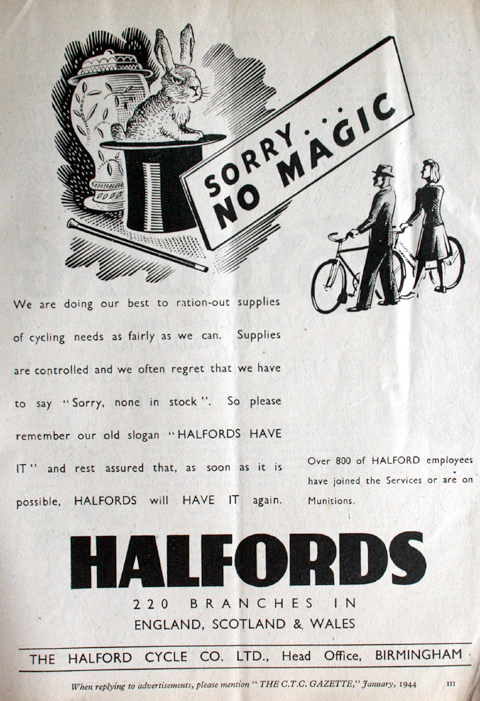 Here are a few more ads from cycling magazines during the war. 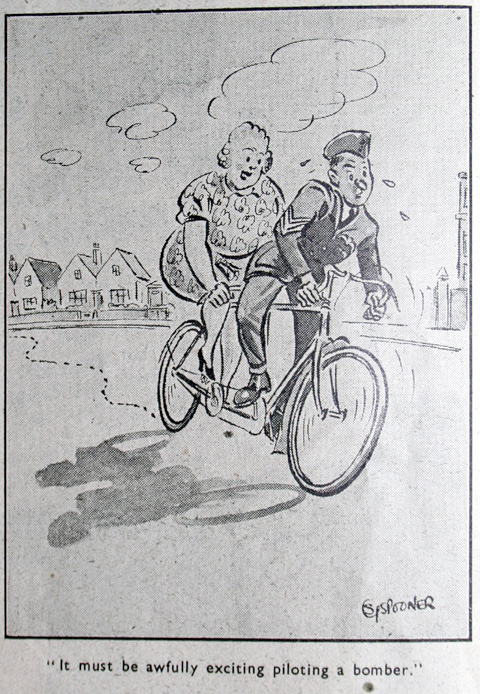 Of course, bicycle manufacturers were geared up for the war effort, and the majority of ads were not for new cycles but, as in these ads in the CTC Gazette, for components. 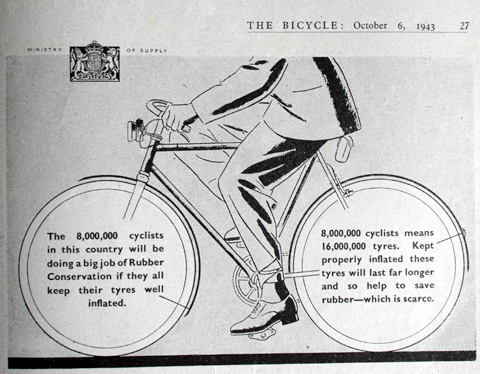 They also carried public service announcements, such as this from the Ministry of Supply. 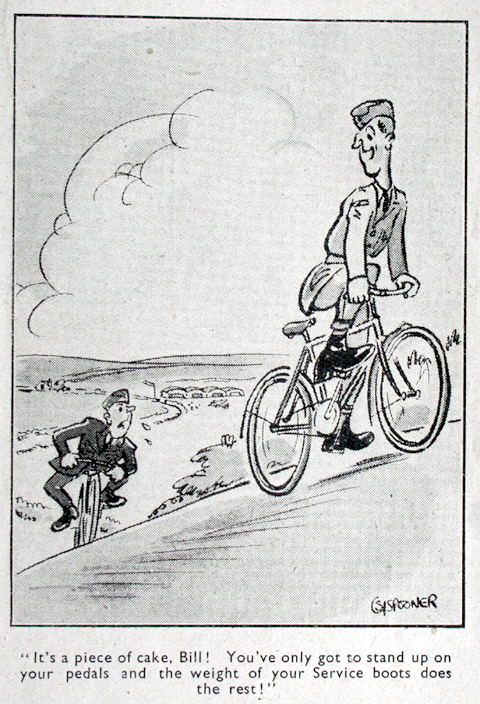 By 1943, it would appear the ‘The Bicycle’ magazine was running short of advertisers. 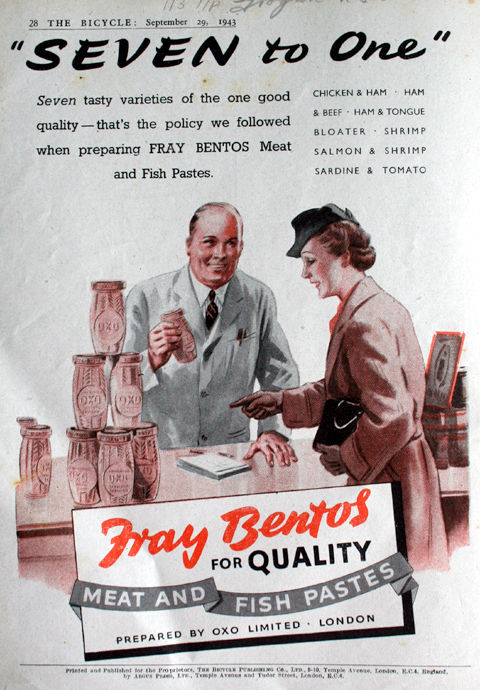 It’s not often that the magazine carried non-cycling ads, so this ad for Fray Bentos, below, may well have been a historic occasion. 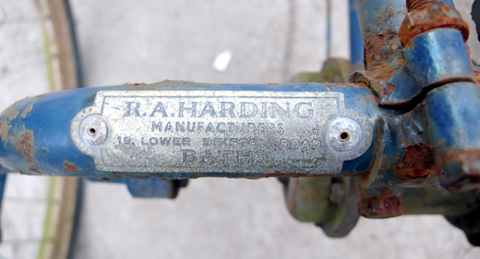 I bought quite a rough Harding in bits locally in March 2008, and gave it to my friend Pat in France. Here it is after he’d restored it.